The United States remains Largely Compliant with the EOIR standard. Although recommendations made in the first round review have been addressed, the availability of beneficial ownership information poses a challenge. Despite recent positive steps which significantly strengthen the availability of beneficial ownership information in the United States, gaps have been identified in respect of legal requirements to obtain and maintain beneficial ownership information as well as in respect of their implementation in practice. 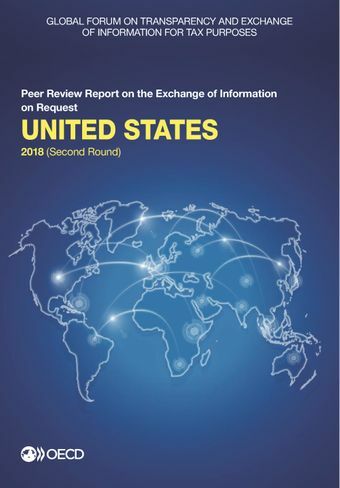 The United States’ access powers are broad and allow provision of quality information to its exchange of information partners as also confirmed by peers. The United States has in place a robust EOI Program and is heavily involved in exchange of information receiving more than 2 600 requests over the period 1 January 2014 to 31 December 2016. Accordingly, the United States is valued by its exchange of information partners as a very important and reliable partner. The review noted that since July 2010, the United States has not ratified any signed EOI agreement that requires U.S. ratification including the 2010 Protocol to the Multilateral Convention which negatively impacts significant number of US partners and the United States is recommended to ratify these signed agreements expeditiously so that all its EOI relationships are in force and, in the meantime, expeditiously pursue any alternative means to ensure effective EOI arrangements that meet the standard are in force with affected jurisdictions. Read the press release.